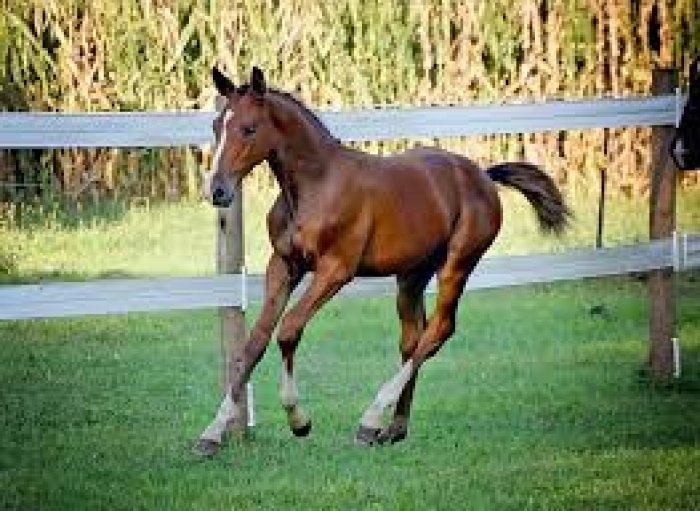 Is the Stallion's Age Important for Fertility? 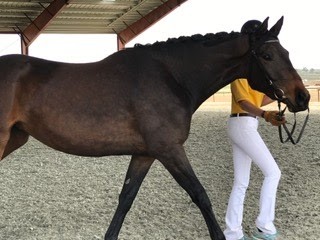 Apiro is a son of the legendary, Argentinus, who for an amazing seven years led the FN statistics of his age group for the prize money earned by his progeny with offspring competing at international levels in both dressage and jumping. 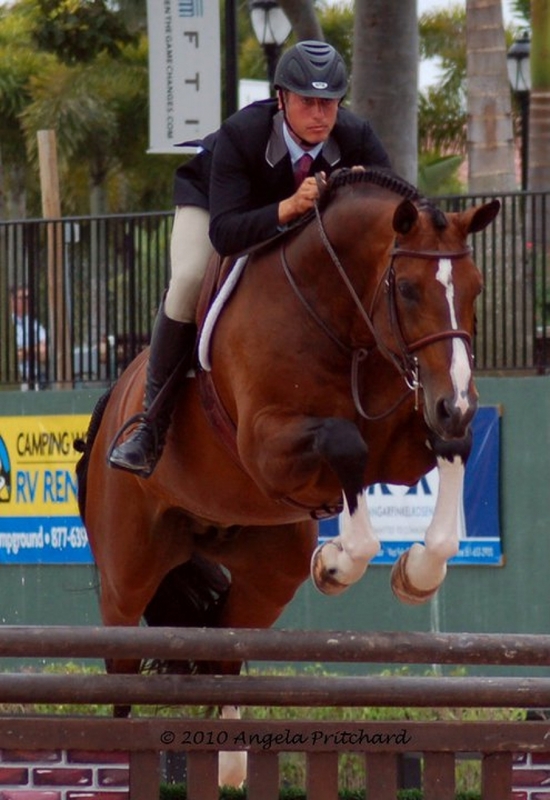 A successful advanced level show jumper himself, Argentinus sired 28 approved sons, 48 State Premium mares, and became Germany's youngest millionaire based on money won by his progeny. He was renowned for passing on his willing temperament to his offspring. His sire, Argentan I, produced 19 approved sons and 119 State Premium mares and was highly regarded as a broodmare sire. From Absatz, the type and unmistakable face of his sire, Abglanz, is stamped generation after generation. From Argentinus' damsire, Duden II, comes the dynamic movements and impulsion of Duellant. 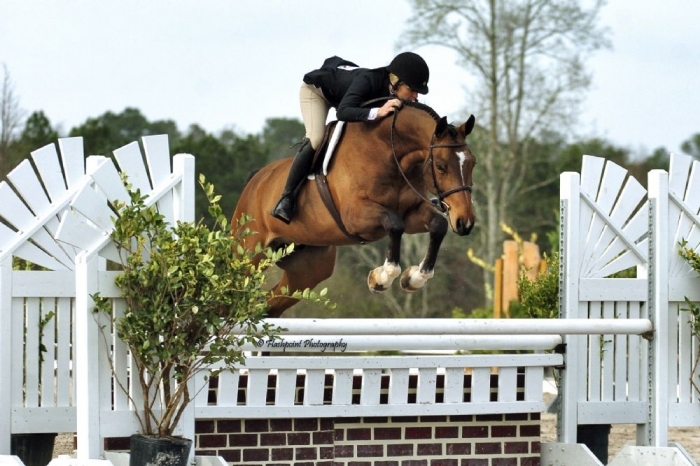 Apiro's dam, the State Premium mare Pyrah H, is a strong producer of sporthorses including the showjumpers Perle, Pandora, and Power Girl, Rocci Balboa who has been successful in the young dressage horse classes, and State Premium mare, Airline. 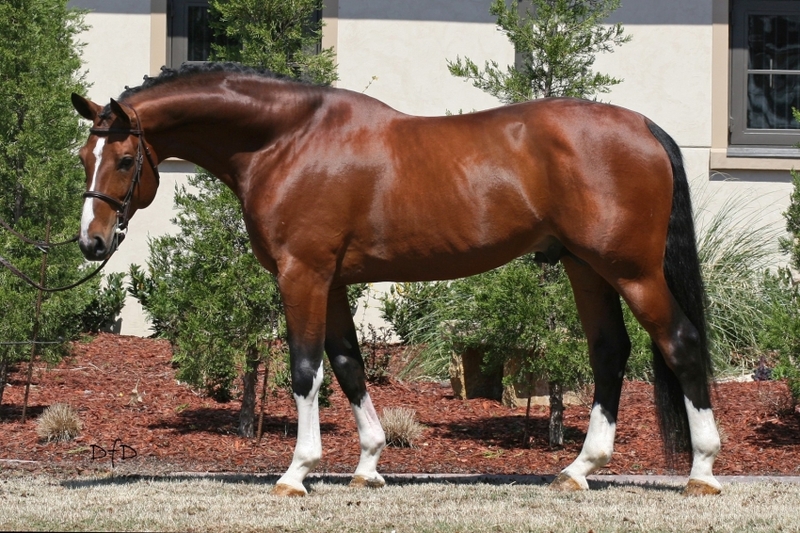 She also produced approved stallion, River Phonix, who won the Bavarian Championships. Pyrah H is by the exceptional jumper sire, Pilot, who was the first showjumping stallion with progeny to earn one million deutschmarks. 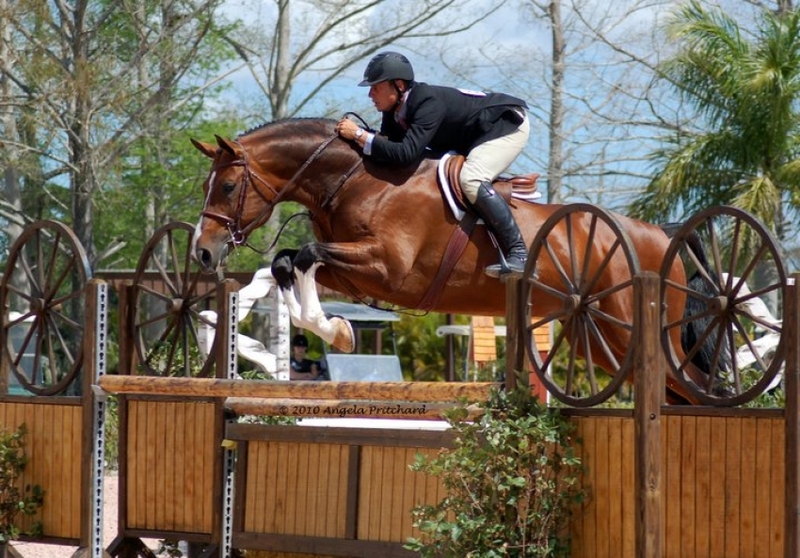 His second dam, Ceda H, is by the Cyklon son, Cyrus. 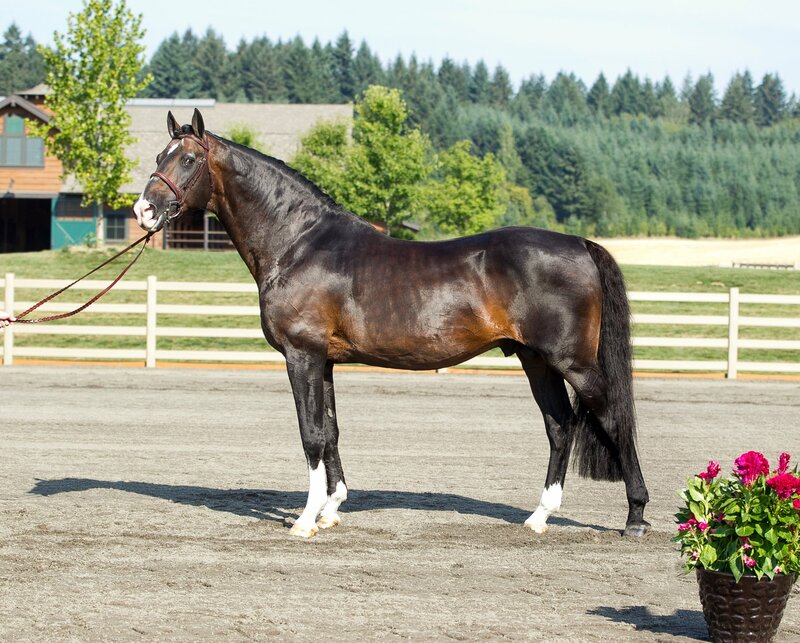 The Hanoverian-based Trakehner, Cyklon, established a good jumper line and was a superior sporthorse sire. 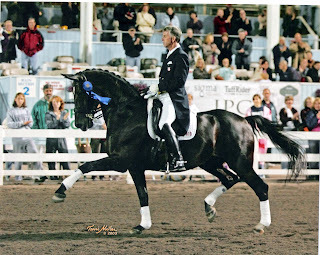 Apiro was Reserve Champion of his 30-day test in 2004 with 8.51 overall, 8.86 for jumping and 7.99 for dressage. 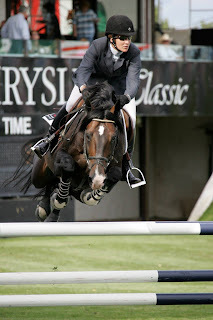 He completed his sport requirements in Germany by qualifying for the 2005 Bundeschampionat in showjumping. 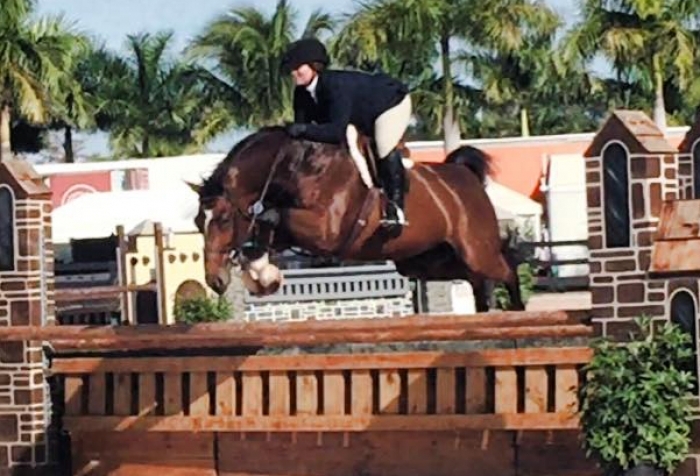 Apiro competed successfully in the working hunter ring as well as with his amateur owner. He is producing quiet minded, athletic offspring stamped with his type. Details: We collect 7 days a week. UPS or Fedex Monday through Friday, counter to counter on weekends and holidays. Collection fee is $175. Shipping is at cost. I am interested in learning more about Apiro. 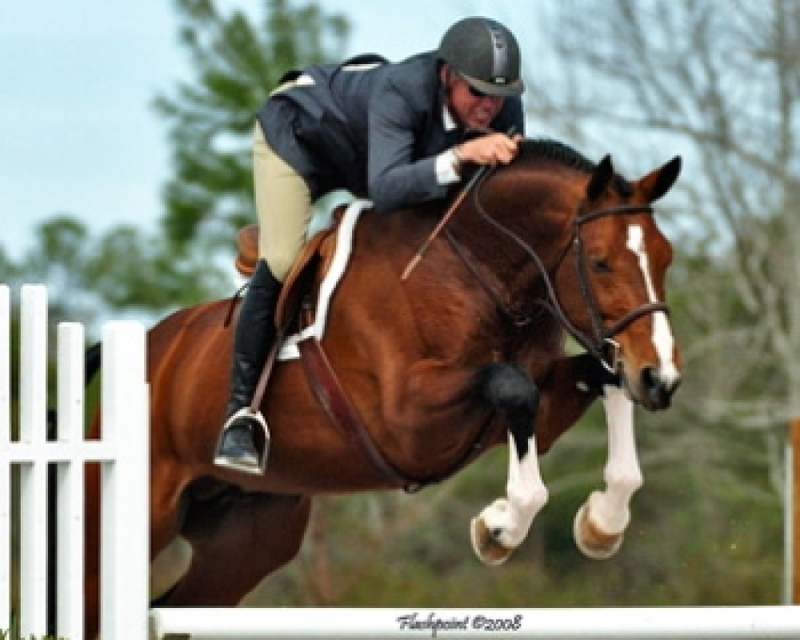 Thank you for viewing this stallion on WarmbloodStallionsNA.com! 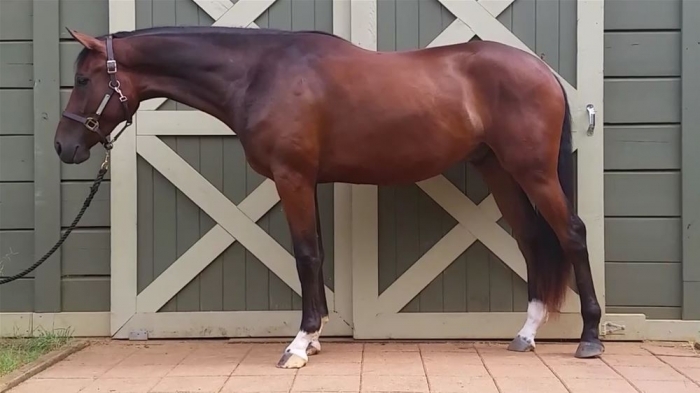 Click here to browse all our stallion listings.